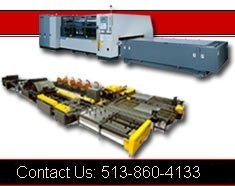 Norlok Sheet Metal Clinching / Fastening | ASTRACLINCH Alligator line | Cincinnati Precision Machinery, Inc. Extremely light, hand-held, articulated SPOT CLINCH® machines from ASTRACLINCH Tools, workhead weight 7-8 lbs (3.2-3.6 kg), cycle time 0.6-1.0 seconds, capacity 2x16 ga (0.120”) total mild steel. Applications include stud-to-track joining in both load-bearing structures and for partition walls, and also in the HVAC sector, for enclosures, appliances and general idustrial use. Only ASTRACLINCH, Inc. holds ICBO/ICC building code approval. To our knowledge, no other clinching equipment supplier has obtained ICBO/ICC building code approval for its clinched joints in structural members of cold-formed profiles (see ER-5439). This code approval is valid in all seismic zones, including zones 3 & 4, and in areas of high wind loads. ASTRACLINCH , Inc. and ASTRACLINCH Tools have the most complete clinching technology on the market today, and are ready to serve any manufacturing company whose production processes involve the assembly of sheet material and profiles.